Suzanne Biemiller | Econsult Solutions, Inc.
For more than two decades, Suzanne Biemiller has devoted her career to improving cities. Working in the philanthropic, non-profit and government sectors, she has developed innovative policy strategies and programs, driven organizational change and led multi-discipline project teams. 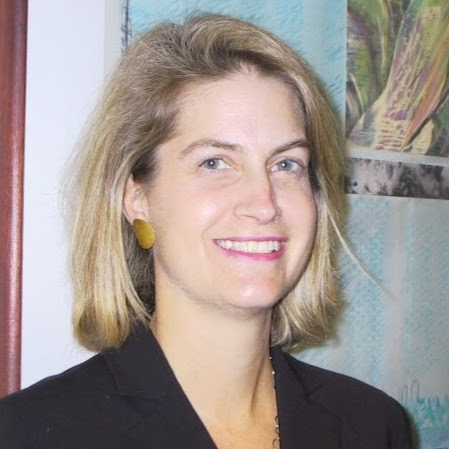 Biemiller is known for her sound judgement and exceptional writing skills as well as her ability to convene diverse partners and find common ground that leads to action. She has never been satisfied with the status quo and delivers results within complex environments. 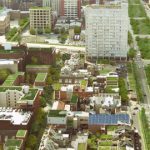 As a consultant to the Mayor’s Office of Sustainability, in 2009, Biemiller developed and authored Greenworks Philadelphia, the city’s first-ever sustainability strategy. Biemiller’s efforts united Philadelphia’s sustainability work under a shared vision and common goals. The plan received the 2010 Siemens Sustainability Award. More recently, she has helped Broad Street Ministry create a new strategy and operating plan; the Lenfest Institute for Journalism develop governance policies; and has worked with the Federal Reserve Bank of Philadelphia as it launches its Economic Growth and Mobility Project. Biemiller served in Philadelphia Mayor Michael A. Nutter’s administration as Director of Policy and Planning, interim Chief of Staff and First Deputy Chief of Staff, overseeing major policy development. Among other initiatives, she managed the $1.5 billion sale of the Philadelphia Gas Works; helped overhaul Philadelphia’s $400+ million anti-poverty system (resulting in Shared Prosperity); and designed the strategy for the city-wide 2010 Census campaign. Always, her goal was to create implementable solutions that would enhance the lives of Philadelphia’s residents, unite disparate streams of work, communicate well and make government work more effectively for the common good. Biemiller has also worked as the Chief of Staff at the American Board of Internal Medicine (ABIM), a $56 million national nonprofit organization. As the ABIM’s “internal CEO,” she executed the organization’s new strategic stance, moving ABIM from an authority-based model to one that actively engages its community in program design. She also led a shift in how ABIM communicated to its varied stakeholders. 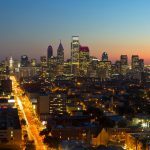 At The Pew Charitable Trusts, Biemiller managed a $13+ million grant portfolio and developed national and local policy initiatives, including the Philadelphia Research Initiative and an innovative welfare-to-work program. Her work helped drive the foundation’s investments in established nonprofits and she created new organizations. Unflappable and good-humored, Biemiller has been described as someone who gets a job done. She knows how to ask the right questions, focus on the essential core of an issue or organizational challenge, and develop solutions that make sense and lead to results.